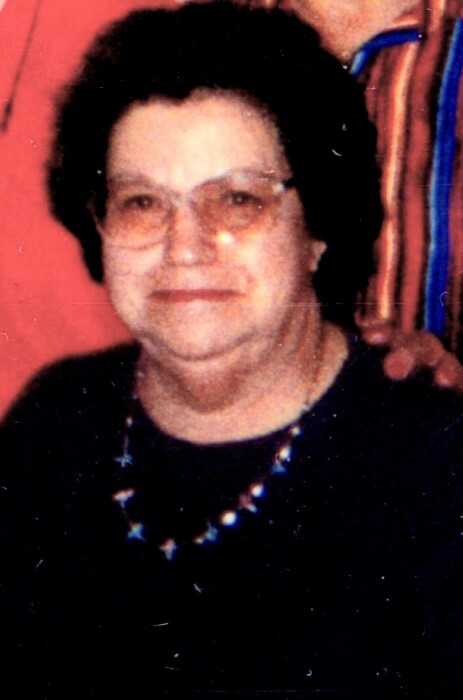 Trinidad (Trini) Garcia Shelton, 89, of Santa Fe, NM, passed away to the arms of her Lord and Savior, Jesus Christ on January 31, 2019 at home of her brother, Julio J. Garcia and his wife, Rosina, in Rio Rancho, NM. Trinidad was preceded in death by her parents, Francisco Brito Garcia and Julianita Ortiz de Garcia; brothers, Julio Grande Garcia, Remigio Garcia (Nepomocena), George Garcia (Victoria), Antonio Garcia (Isabelle); sisters, Ramona G. Fischer (Eddie), Soledad G. Moya (Carlos), Agnes G. Mayer, Dorothy Garcia; nephews, Carlos David Moya, Louie Garcia; nieces, Rachel Fischer, Karmella Fischer; brothers-in-law, Joe M. Baca, Phil Ulibarri. (Helen) Baca, Eustacia Ulibarri; her brother Julio J and his wife Rosina R. Garcia; the Sue Ann Holmes and many relatives and friends. Trinidad took pride in serving as a member of the Cristo Rey Alter Society. Serving as pallbearers are Lorenzo Ulibarri, Robert Quintana, William Mayer, Derek Martinez, Josh Martinez and Jaden Martinez. Honorary pallbearers are all her nieces and nephews. The Holy Rosary will be recited by the Caballeros De Vargas at 9am at Cristo Rey Church, 1120 Canyon Rd, Santa Fe, NM on Wednesday, February 6, 2019. Mass of the Resurrection will be at 10am. Committal services will be held on Thursday, February 7, 2019 at Rosario Cemetery in Santa Fe, NM. In lieu of flowers, donations may be made to the Carmelite Monastery at 49 Mount Carmen Rd, Santa Fe, NM.